Change the way you buy wine. Splash Wines is a family business, but not our first. Our family has been in the wine industry for three generations. 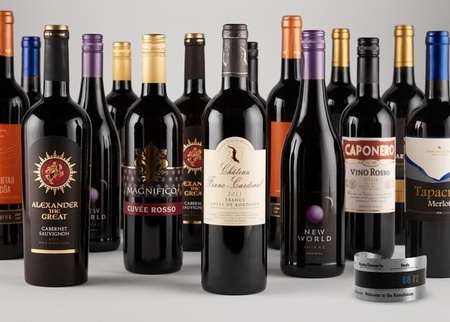 We’ve imported wines and marketed to wholesalers in the three-tier system. And for the past 15 years we’ve been on the forefront of the Internet wine industry. So we’ve seen how messed up buying wine online can be. But we have the experience and connections to create a better solution. Splash Wines is it! Our winemakers around the world speak different languages, grow different grapes, face different soil and climatic conditions and live under different rules but they all have one thing in common with each other and with us—and that is the look of pure joy in our eyes when we talk about wine. And drink it. Our connections with winemakers worldwide are personal and generational and that means we have amazing help throughout the wine world getting the incredible product that fuels Splash Wines. Some of what we offer are wines you know very well, others are a bit more obscure and may be wines we have just discovered ourselves. But they all rock.